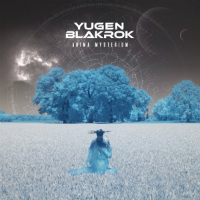 Enjoying a well-deserved higher profile of late due to that guest slot on Vince Staples’ Black Panther OST track, is experienced emcee Yugen Blakrok whose new long-player Anima Mysterium – the follow-up to 2013’s well-received Return Of The Astro-Goth drops tomorrow. Hailing from South Africa, Blakrok cultivates a shamanic presence (as those LP titles suggest), with intricate lyrics endlessly referencing supernatural esoterica over beats from long-time production cohort Khanif The Jhatmaster who pitches things somewhere between Dan The Automator’s darkest moments and the mid-90s Bristol sound. It’s a recipe that has certainly registered with a number of hip-hop legends – Blakrok having gained tour slots with both Chuck D and Sage Francis in her native S.A. while kindred spirit Kool Keith actually makes an appearance on the LP. And of course, all that lyrical voodoo does provide a useful universal metaphor. Naturally verses by such an experienced astral traveller as Keith could only appear on a track called Mars Attacks – also one of the most Automator-esque beats on the album – on which Blakrok lyrically nods to the adventures of Keith’s Dr Octagon alter-ego on said alter-ego’s classic first LP. 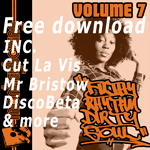 Indeed if Dr Octagonecologyst is a good reference point for this track, it’s not a bad one for the whole LP, with the dusty, dreamlike cinematic ambience providing an effective counterpoint to Blakrok’s portentous delivery. And of course, it goes without saying that it’s an LP highlight along with the hypnotically spacey previous single Carbon Form and the understated menace of current single Picture Box. Alright, so you might not always get what she’s going on about, but damn if it doesn’t sound good!